Al-Nawawi’s “Forty Hadith” are widely regarded as the best introduction to Muhammad’s sayings in the English language. The hadith are a source of “revelation” for Muslims second to the Qur’an (Qur’an 33:21; 2:151). 2Muslims believe Muhammad was more than a mere postman or mouthpiece for divine revelation. They believe Muhammad internalized divine revelation both physically and spiritually, implementing it to the bone. One might say that the Qur’an is the book and Muhammad is the wisdom of a life lived according to the Qu’ran. So important are the traditions that Muslims scholars believe without Muhammad, the Qur’an could not be properly implemented. I want to better understand Islam so that I can explain better the truth of Christianity. I am a student of Islam and do not want to misrepresent what Muslims believe. I’ve found it frustrating when Muslims misrepresent Christianity. I’m sure Muslims feel the same way when their beliefs are misrepresented. The Golden Rule applies (Matthew 7:12). It is important for Christians to compare the revelation of the Bible with that of Muhammad. I want Muslims to know that I have made a sincere and honest attempt to study the principles of their religion so that they will know that there are rational reasons why I have not converted to Islam, and why it is rational and godly to convert to Christianity. Nawawi Forty Hadiths (04): Abortion and When Does Life Begin? 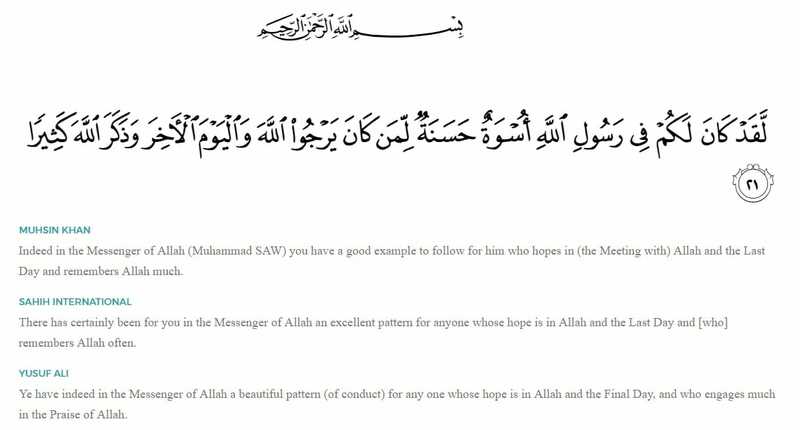 Nawawi Forty Hadiths (22-23): Are the Five Pillars Enough to Enter Paradise? 2. ↥ Muslims believe Muhammad was more than a mere postman or mouthpiece for divine revelation. They believe Muhammad internalized divine revelation both physically and spiritually, implementing it to the bone. One might say that the Qur’an is the book and Muhammad is the wisdom of a life lived according to the Qu’ran. So important are the traditions that Muslims scholars believe without Muhammad, the Qur’an could not be properly implemented. hi, I want to know that do you find really a rational reason which you mentioned above ;”they will know that there are rational reasons why I have not converted to Islam, and why it is rational and godly to convert to Christianity.” ???????????????? If you find, can you tell me what are they? Thank you for your question. Here are two reasons: (1) The miracles of Jesus attested in the gospels and by Jesus’ enemies [cf. Munich Talmud]; (2) The empty tomb of Jesus/resurrection of Jesus from the dead.